Harty Street Community Kindergarten is a non-denominational, non-profit association and is affiliated with the Creche and Kindergarten Association of Queensland (C&K). Harty Street is managed by a Management Committee elected by the members (the parents). 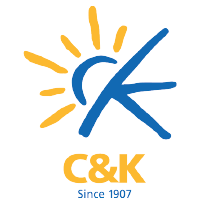 Harty Street is a two unit affiliated C&K centre offering four groups of kindergarten education across the Short Day, Long Day or Extended Kindy Care programs, with a maximum of 22 children enrolled per group. We also provide a pre Kindergaten group for eligable 3 year olds. This program runs on Wednesdays from 8:45am to 2:45pm. All groups are staffed by a qualified early childhood trained teacher and one qualified assistant to implement the kindergarten and pre-kindergarten program. The programs are play-based preparing 3 to 5 year olds for prep and beyond. The Kindergarten opened in 1953, became affiliated with the Crèche & Kindergarten Association of Queensland (C&K) in 1967 and changed its name to Harty Street Community Kindergarten & Pre-school Association in 1979. 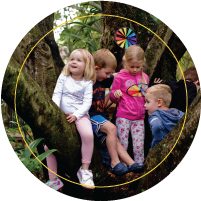 Harty Street kindergarten and gardens are built on the traditional lands of the Yuggera and Turrbal peoples and we wish to acknowledge them as the Traditional Owners of the land. We are also grateful to the past communities of parents who have contributed to the building, management and operation of our kindergarten. On behalf of the Management Committee, welcome to Harty Street Kindergarten. Harty Street is a community based, not for profit incorporated association managed by a parent committee elected at the Annual General Meeting. This structure along with the exceptional educators and the fantastic grounds and facilities creates a unique, close-knit environment that is highly regarded in the local community. Participating in either the committee or the social Parent's Club provides a rewarding opportunity to be actively involved as your child starts their education journey. I'd like to thank all the past, present and future parents and caregivers who offer their services and continue the Harty Street community spirit tradition. The committee operates within the pillars of the strategic plan being the learning environment, quality staff, asset security and stability, excellent governance and effective partnerships and collaboration. This framework guides committee activities to ensure the success of Harty Street this year and into the future. I look forward to getting to know you throughout this kindergarten year and welcoming new families for next year.